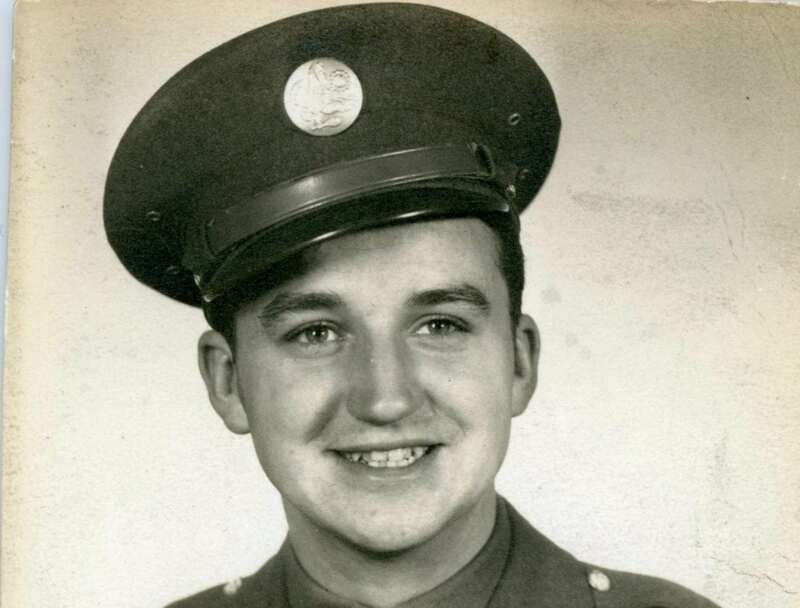 On Veterans Day, I always think of my beautiful, young, handsome Uncle Frank Ebner, whom I never met in person, yet I feel I know him intimately. Why? Because I have nearly 300 letters written to and from him from January 1943 to the end of September 1945. Then his letters stopped coming home. I won’t tell you here what happened because that would be a spoiler. But you’ll note that the date the letters stopped (end of September) is well after the War in Europe ended on May 8, 1942, and also after the War in the Pacific ended, in August that same year. 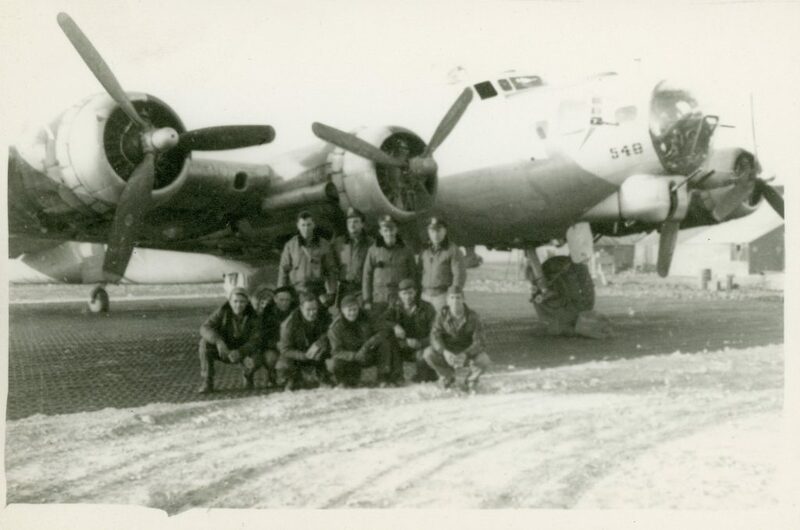 2nd Bomb Group crew with B-17, Amendola, Italy. Ebner standing, 2nd from left. 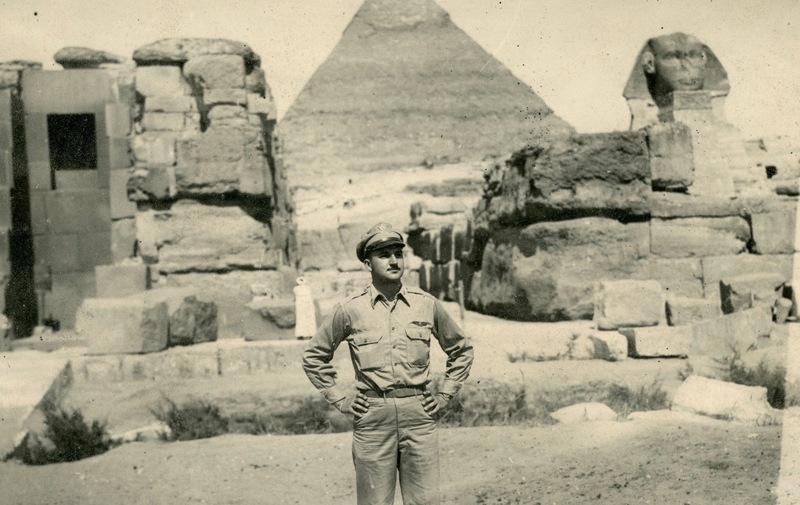 From January to May 1945 (after spending two years in training), Ebner navigated twenty different Army Air Corps crews to and from their targets (oil fields, rail yards, munition factories, etc.) throughout Axis-held Europe, and never lost a man, while FLAK exploded around them. A few years ago, I met another navigator, Vince Werner, from Ebner’s Second Bomb Group. (The family called Frank by his middle name, “Ebner,” pronounced ABE-ner). Vince was intrigued by my family history research and decided to add to it by doing some research of his own. 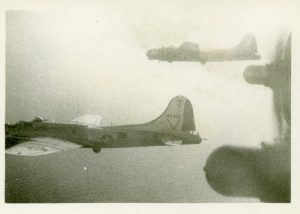 Vince analyzed the number of men lost on missions in the 2nd Bomb Group (stationed in Amendola, Italy, near the Adriatic Sea) and determined that if Frank were on a mission, (for whatever reason) that crew was less likely to lose a man. “Fly with Frank,” he proclaimed! Perhaps it was that expertise, and his affable personality, that clinched the deal. He was hired to be the navigator to fly around all the VIPs (congressmen, four and five-star generals, etc.) who were arriving in Europe to figure out how to rebuild after the war. They had meetings in Athens, Tel Aviv, Rome–cities all around the Mediterranean Theatre, and they needed a cracker-jack navigator to get them there. Ebner was their man. What a summer he had! On one trip he had breakfast in Tel Aviv and lunch in Athens. He visited the Coliseum in Rome, Hitler’s Eagle’s Nest, near Berchtesgaden in Germany, and the pyramids of Egypt. It seems from his letters that he has “a girl in every port.” What young woman wouldn’t want to be with this handsome fly-boy in uniform, a real gentleman, charming, funny sweet? I met Ebner through his letters and feel like one of those girls in a novel who falls in love with a man from the past. His letters reveal a young man so kind and likable, vulnerable, yet strong; a bit rascally, but ready for duty. I adore this uncle I never met. He never fails to write to his mom, my Grandma Gartz, his most faithful correspondent. The letters between him and my mother, Lil, his sister-in-law, crackle with wit and affection. His letters to Dad, the middle Gartz son, reveal Ebner’s truest feelings: his uncertainty about marrying his high school sweetheart (whom his mother adores), about whether or not he wants to continue going to college when he returns. He’s a man, who’s shown valor in battle, watched carpets of flak rip 40, 50 holes in his B-17 as he concentrated on the math to get his men back home. But he’s still a kid, for God’s sake! Twenty years old, tasked with the job of saving the world, with other young men, from fascism. Thank you to our vets! I want to give a shout-out on this Veterans Day. THANK YOU to our men and women serving now and to those who have served in the past. Their stories are worth preserving. Few people have the good luck to be able to learn about their ancestors the way I have–through the thousands of pages of letters and diaries the family saved for a century. People almost never write letters any more, but your family members are a repository of information of the past. You have to download their memories, and Thanksgiving is the perfect opportunity to do so. 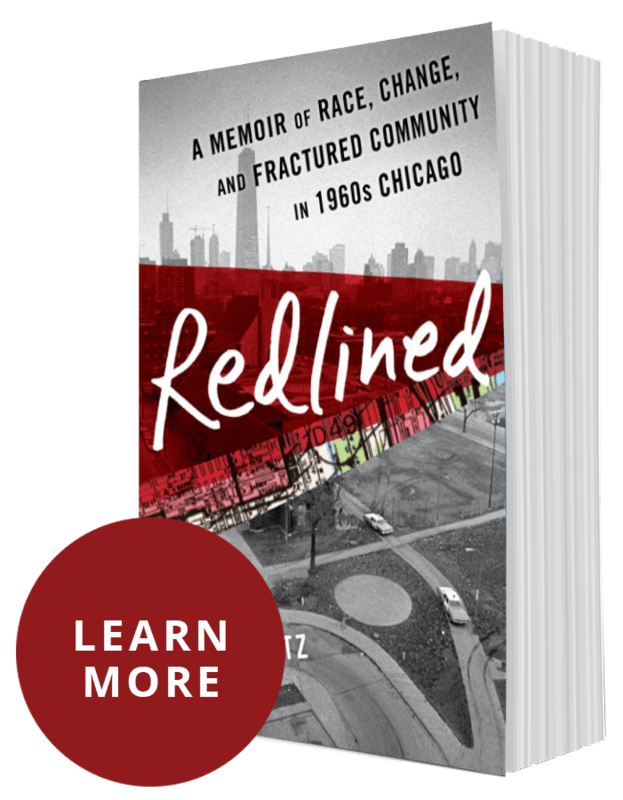 Getting relatives to talk about their childhoods, their courting, their school days, what life was like before cell phones, and more can bring people together around the table rather than the dreaded political conversations that often create acrimony. Mention to your relatives before Thanksgiving that you’d like to learn more about them in conversation around the table. Plan to have some recording devices (more on that next week) handy. You probably want to give them a heads up before-hand. If someone isn’t comfortable with the recording idea, have paper and pen – or a laptop handy to jot down notes. Here’s a link to a good article on how to approach this Thanksgiving conversation. “Ten Family History Conversations for the Holidays.” Some day, when many in the older generation are gone, you’ll be glad you have at least a little bit about their pasts to cherish and share with your children. Read “Words, War, Worry.” It’s about a letter my grandmother wrote to her youngest son (Ebner) on Veterans Day on Nov. 9, 1943 (then called Armistice day). I originally wrote this essay for the Chicago Tribune in 2003. If you have empathy for all the moms who wish they could “be there” for their sons and daughters, fighting in distant lands, this piece is for you. 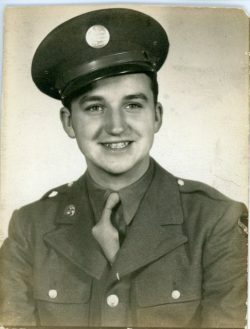 To read, or just look over, the letters written to and from Ebner, check out the blog, “Letters of a World War II Airman,” on my website. It starts on the day Ebner reported to the draft board (“Drafted . . .”) and was shipped to basic training. Please share your thoughts about loved ones serving, or who have served, in comments below. Thank you for reading. 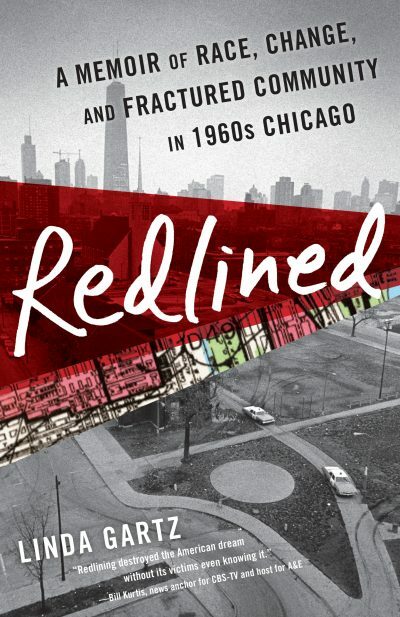 To learn more about my family on Chicago’s West Side, and the federal policy that segregated our country, please read Redlined.